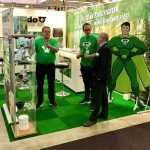 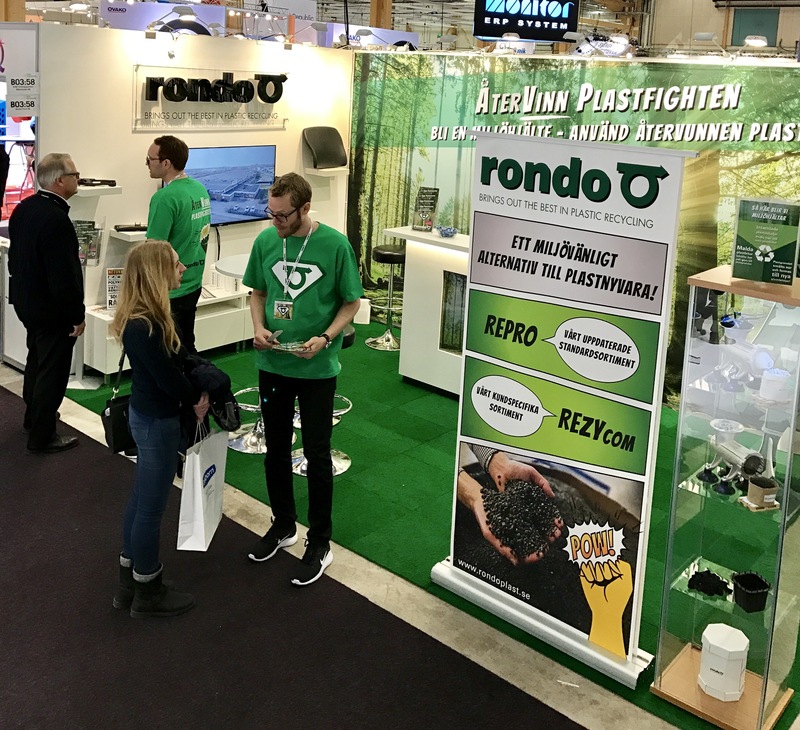 17th-18th May – Rondo Plast was hard at work at Plastteknik Nordic in Malmö. 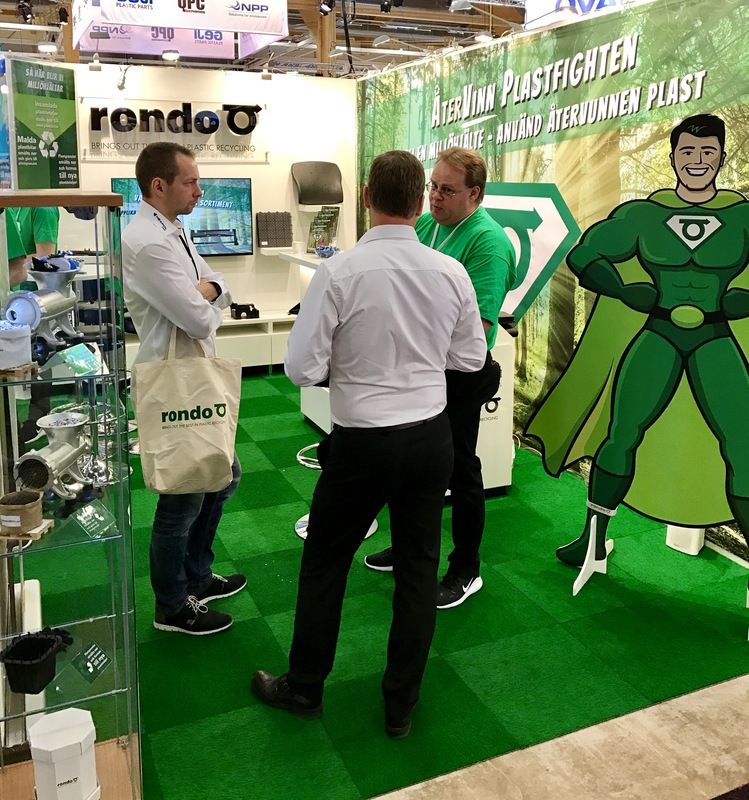 Just like 2016 Rondo Plast shared the stand with Polykemi. 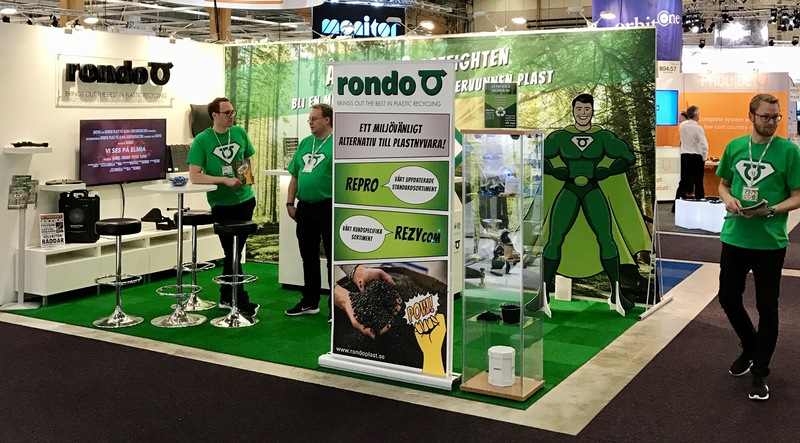 At the exhibition we showed our range of quality assured compounds – totally or partly based on recycled plastic raw material – within our standard family – REPRO and the tailor made family – REZYcom. 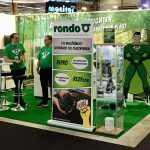 In addition the exhibition was the starting point for our new designs and graphic profile that quite clearly colored the whole stand. 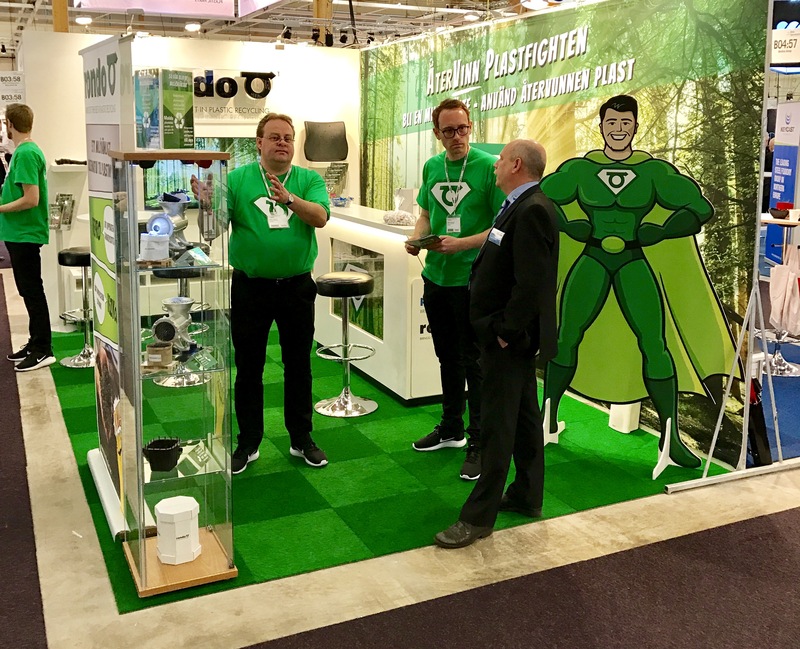 Our product manager Fredrik Holst attended the Recycling Day and informed about challenges and opportunities regarding recycled plastic raw material. 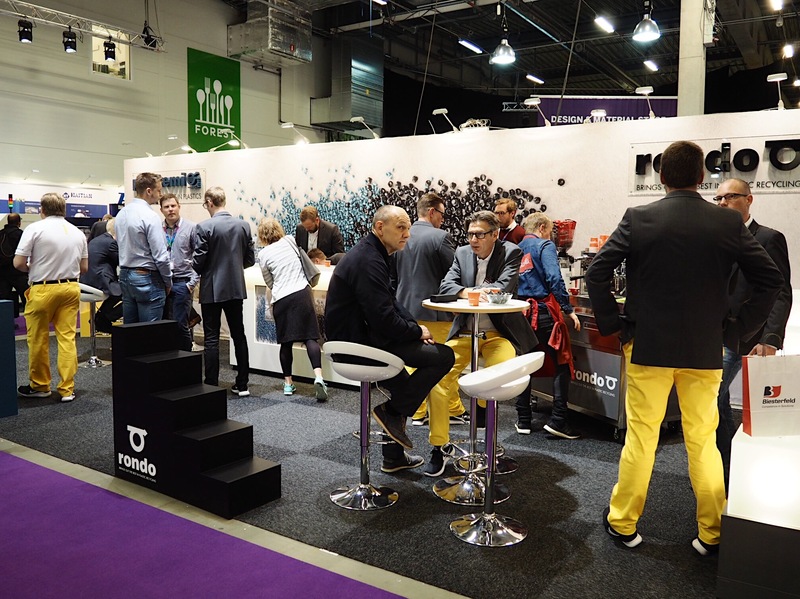 Thanks for visiting Elmia Subcontractor 2016! 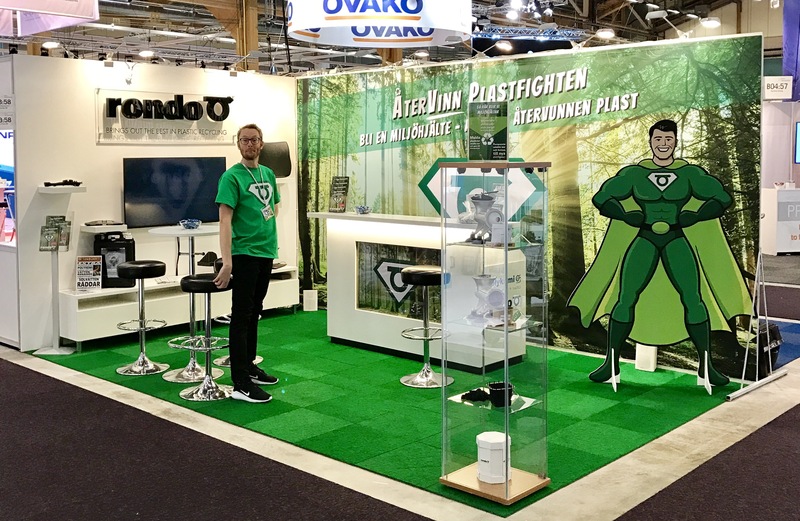 Rondo Plast AB exhibited at the Elmia Subcontractor 2016 – in a stand of our own! 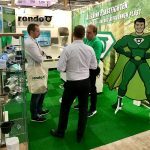 The follow up work has started! 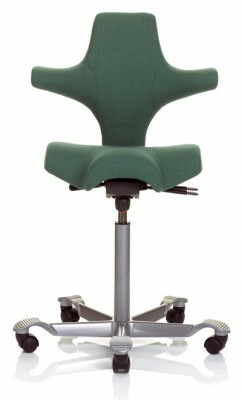 Renewed quality and environmental certificates. 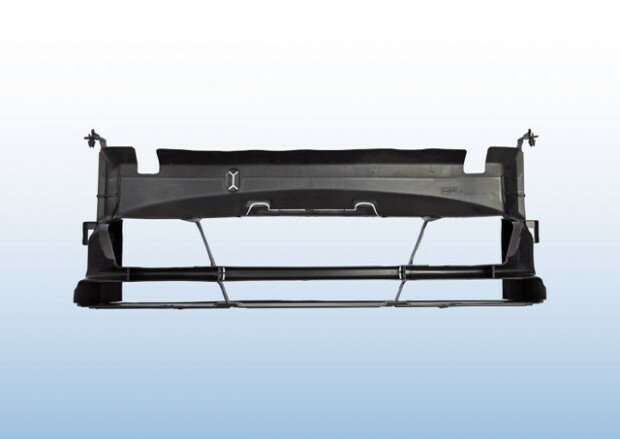 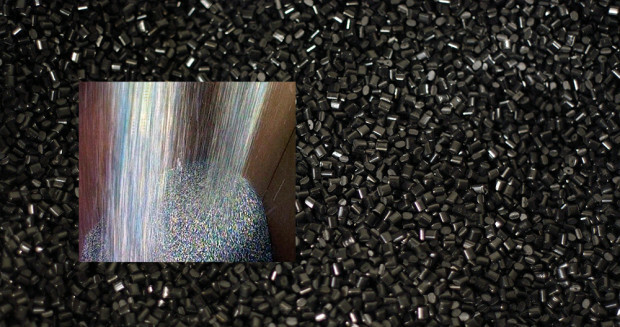 Rondo Plast AB in spanish plastics press – REZYcom PP RT414 VT & RT418 VT Black. 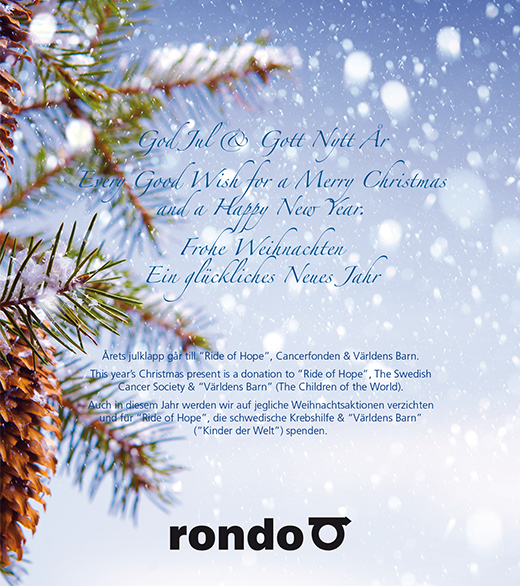 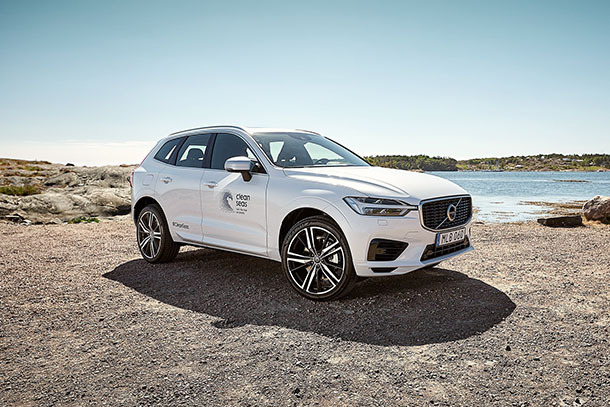 This year we are delighted to give a christmas present to: Ride of Hope, the Swedish cancer Society and the Children of the World. 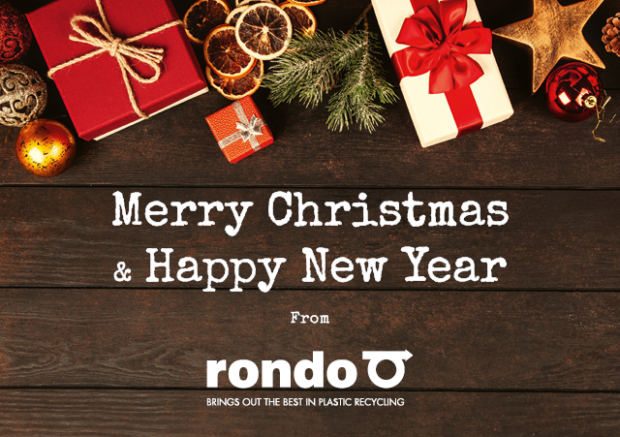 The production dept is closed for the holidays and maintenance from December 24th to January 10th, but the sales & tranport departments are open for business all working days to help our customers. 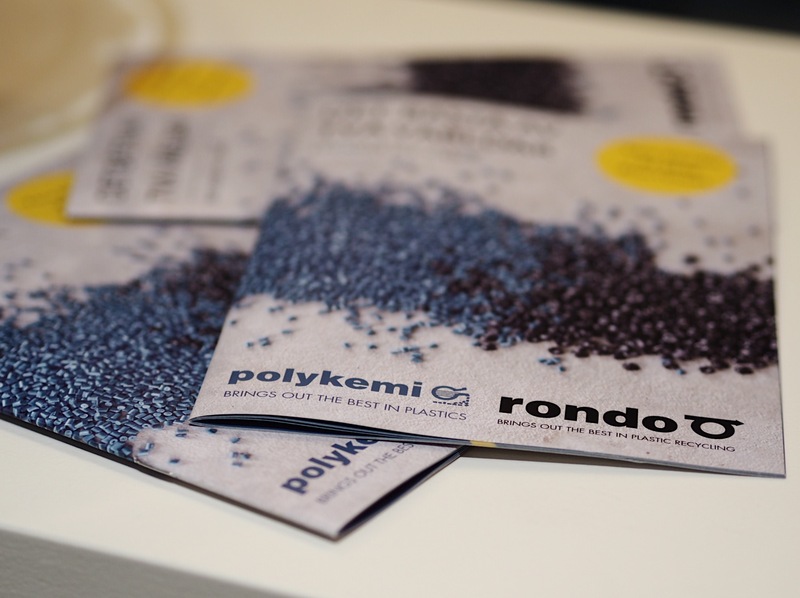 In Finland Tampere 18-19 November 2015 the Injection molding days will be held. 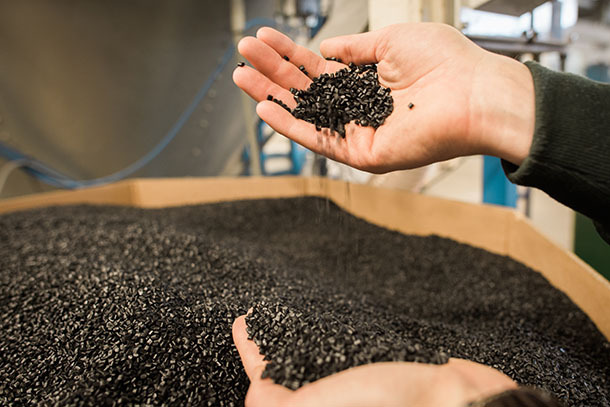 Representatives within the plastics business are invited to speak about news, possibilities and challenges -constantly effecting the plastics industry. 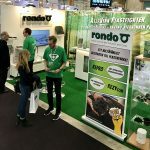 Our product & sales manager Mr Fredrik Holst has been invited and will give a seminar on the theme: ” Challanges and possibilities with recycled materials”. 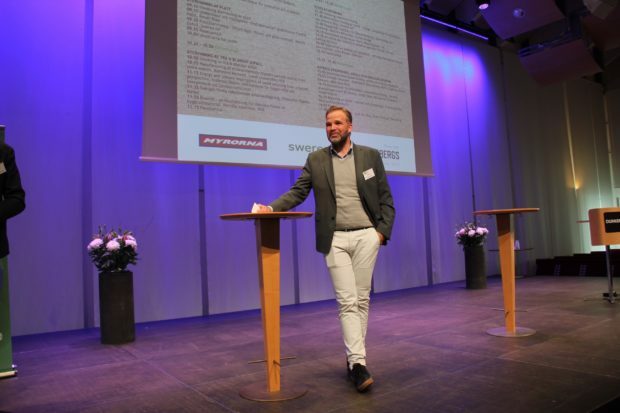 if you can´t attend the seminar – do have a look at the presentation below! 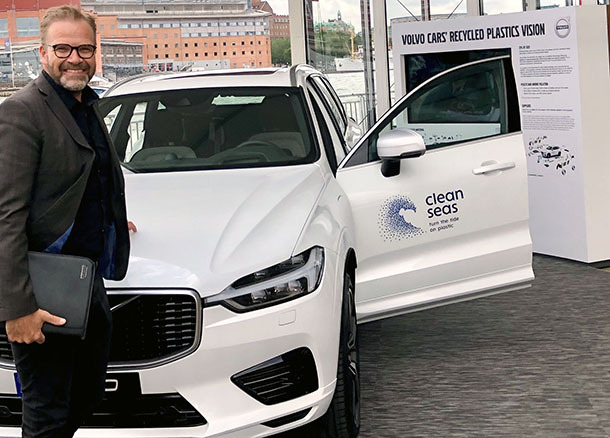 See link to press release from rigk.com. Also Plastic portal in Chechia / Slovakia notes this good news.